Dryer Vent Cleaning. Have you ever done it? We all know the importance of cleaning out our lint screen, but how often do you clean your dryer vent? Dirty dryer ducts aren't just gross, they're a major fire hazard. And even if you're not to the fire hazard point yet, dirty dryer ducts can waste time, energy, and money. If your dryer doesn't seem to be working as well as it used to, a dirty vent may be to blame. Okay, so how should we be cleaning our dryer vents, you ask? The Coastal Estate Team is here to help! Step 2: Turn off, unplug, and safely disconnect the dryer. If your dryer is electric, it's a simple task. If your dryer runs on gas, be careful not to disturb the dryer's gas lines too much as you reposition the dryer. 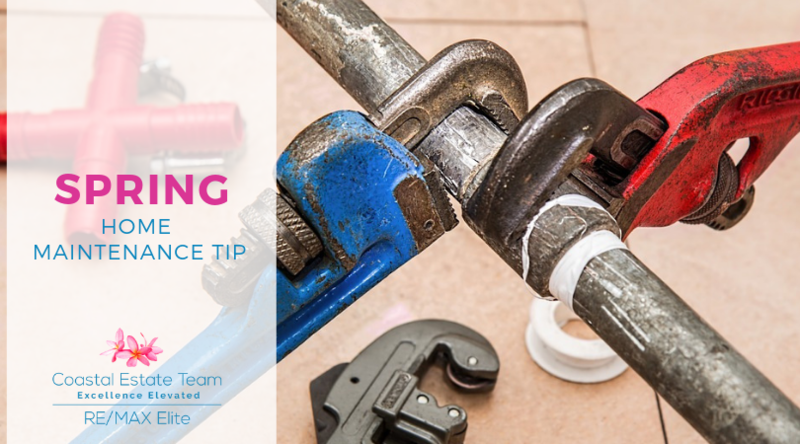 The gas hose (usually a flexible steel hose) should stay tightly attached. Step 3: Clean with a special dryer vent cleaning kit (you can find these at Home Depot or Lowes). The lint brush and flexible segments can be put together to form a rod that spans about 12 feet. You can begin cleaning from the inside (behind the dryer) or the outside (take off the vent cover). Spin the rod and push it as far as possible down the duct. Expect to remove lots of lint.